Tickets For Shawn Mendes’ First Headline Tour Are Going On Sale NOW! Hey, guys! You better get that browser directed to Shawn Mendes’ official website right now! Because at this very moment, tickets for #ShawnsFirstHeadlines are beginning to go on sale! Many cities have been added and allowing ticket purchases already, so you might want to head over and see if tickets for your city is available! Just head to ShawnMendesOfficial.com now! Which city are you hoping to see Shawn in? 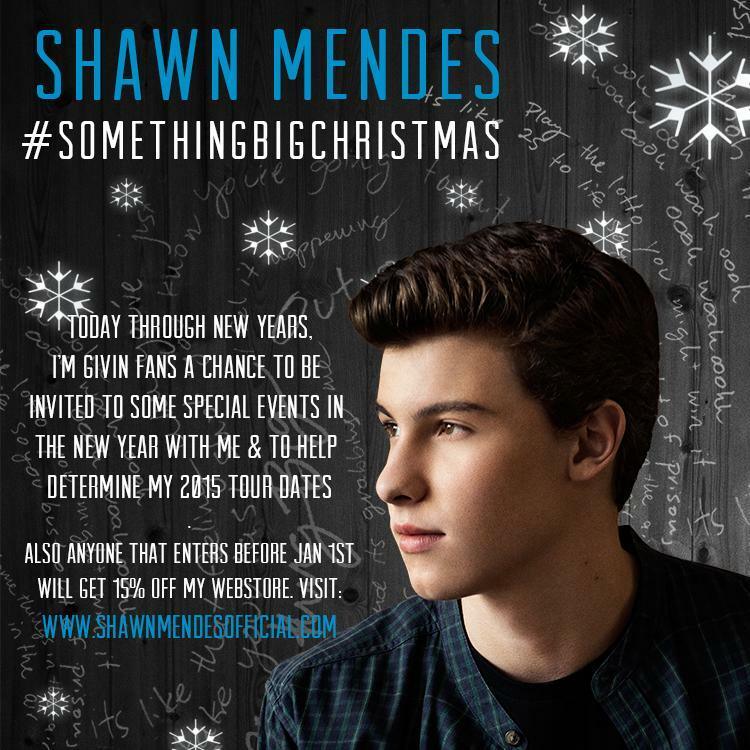 Shawn Mendes Announces #ShawnsFirstHeadlines 2015 Tour Dates! So, we’re sure pretty much everybody is already on a roll in purchasing their tickets for Shawn Mendes‘ first solo headlining tour, correct? If not, then make sure you do! His tour dates are out and there’s even talk from Shawn saying the first 50 fans in each city to buy a ticket will get a free meet and greet with him! How cool is that? Not only that, but buy your ticket and you get a physical copy of his album included! So, make sure you head to ShawnMendesOfficial.com and check out which cities Shawn is heading to this year! 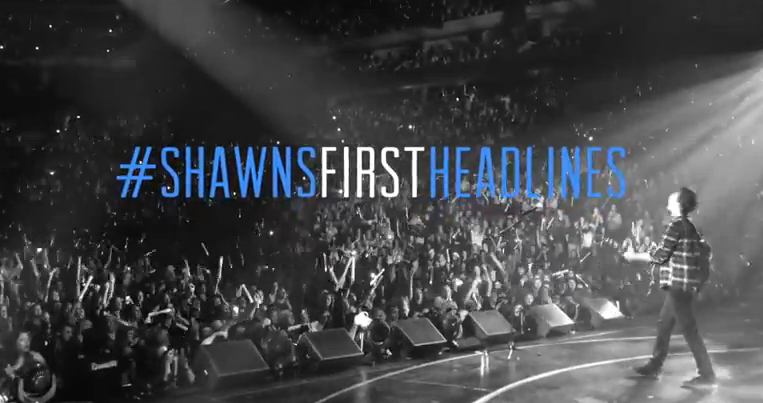 Check out a video of #ShawnsFirstHeadlines dates below! Help Shawn Mendes Figure Out Where His 2015 Tour Dates Will Head To — Details Here! So, Shawn Mendes will be heading out on tour next year in 2015! Awesome! But Shawn had plans for #SomethingBigOnChristmas, saying he wants his fans help to determine his 2015 headlining tour dates and he’s asking for everybody to chime in where he should be heading to! So For #SomethingBigOnChristmas I'm givin you guys a chance to help determine where my 2015 tour dates will be ! So, make sure you head to www.shawnmendesofficial.com and help him out! Get Your Tickets To Echosmith’s Headlining Tour Yet? Get Them Now! Echosmith‘s heading out on their own headlining tour beginning next year in February of 2015 and they hope you’ve been able to get your tickets already! By the off chance you forgot and keep reminding yourself to do so, here is our big reminder to you! 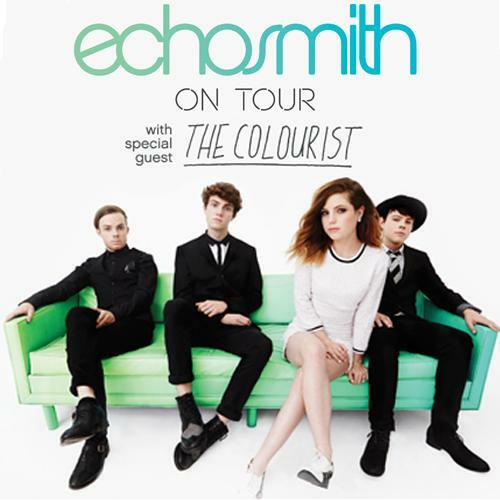 Grab your tickets to Echosmith’s tour, with special guest The Colourist, by heading HERE! Hurry up and get them while you can! 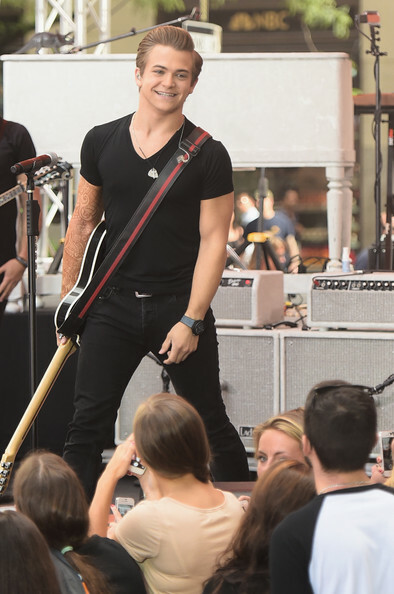 Hunter Hayes Rocks Performing For The ‘TODAY Show’ — Pics & Videos Here! Today (August 22nd), the TODAY Show welcomed country singer, Hunter Hayes, as he performed for hundreds of screaming fans in the plaza for the Toyota Summer Concert Series. He rocked out performances with singles like “I Want Crazy” and his newest hit single, “Tattoo”. Not only did he perform, but he had a huge announcement to share with every one of his fans. The 22-year-old singer has officially announced his new upcoming U.S. headlining tour! You can head to his official website for details! Check out some great videos and photos from the performance and interview below! 5SOS To Headline North American Tour In 2015! — Info Here! Today, July 30, 5 Seconds of Summer announced that they will be taking there first headlining tour to the USA and Canada in 2015! The ‘Rock Out With Your Socks Out Tour’ will be the boys first arena headlining tour that so far is taking them to Australia and New Zealand, the UK and Europe, and now the US and Canada! Tickets go on sale August 9, and pre sale on August 5th for anyone that has signed up for their newsletter! You can sign up here! Who will be buying tickets!? I know I am!